SiteLock is one of our most powerful website security solutions. It not only scans your site for security gaps but detects malware that hackers could use to steal information, infect your customers or divert traffic. If we find malware or holes in your site’s security, we notify you by email so you can quickly close the gap and beat the bad guys to the punch. If you want automatic malware removal, choose our Professional plan. If you want automatic malware removal, choose our Professional plan. For totally worry-free protection, our Premium plan not only finds and removes malware, it also scans for known website vulnerabilities on a daily basis. Website security is vital to your business success. If people don’t feel safe on your site, they won’t come back. But if you can show visitors your site protects them from hackers and thieves, they’re more likely to place an order or refer a friend. Once our malware scanner confirms that your site is clear of known vulnerabilities and malware, the SiteLock Trust Seal can be displayed to your customers. Studies show that displaying this seal increases sales by more than 10%, with 70% of site visitors saying they look for a verifiable 3rd-party trust seal before submitting personal information to a website. Our 360° website security scanner checks your website for common vulnerabilities, including phishing exploits, SQL injection flaws, and cross-site scripting (XSS). It checks your URLs, submits forms, posts comments, and performs other tests to find the web application vulnerabilities hackers use to break in. SiteLock emails you the exact location of any malware or vulnerabilities it’s found. With the Professional or Premium plan, our SMART malware removal tool automatically removes malware – no action needed from you. Our security system not only protects you and your customers, it keeps your website from being blacklisted by search engines. You can check your latest scan results anytime via our easy-to-read online dashboard. It delivers real-time reports in English, Spanish, French, German, Dutch, Italian, Polish and Portuguese (Brazil and Portugal), with more languages to come. For really thorny problems, SiteLock maintains an award-winning team of online security professionals ready to step in and get you back online in a hurry. For really thorny problems, SiteLock maintains an award-winning team of online security professionals ready to step in and get you back online in a hurry. A lot of products can tell you if your website has been infected by malware. What they can’t do is fix it for you. With SiteLock, you don’t have to worry about a thing – our vulnerability scanner checks your website daily, automatically removing any malware or suspicious links it finds (Professional and Premium plans only). It’s like having your own website security guard on duty 24/7. SiteLock beats McAfee Secure, Comodo Hacker Proof and CloudFlare hands down. In addition to the basics, SiteLock takes your site security up a notch by actually fixing what is wrong. Our Professional and Premium plans find and delete malware, keeping your site running clean and worry-free. SiteLock actually removes the malware it finds. 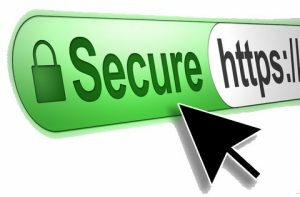 An SSL certificate secures the information passed back and forth between visitors and your website (i.e. credit card information, login name and password) but it can’t find malware or the other vulnerabilities hackers use to break in and do damage. SiteLock not only finds vulnerabilities and malware, it automatically removes them from your website using our SMART malware removal tool. Our Professional and Premium plans complement your SSL Certificate, creating a hack-proof security strategy. Anti-virus software protects your computer from malware and viruses, but it doesn’t protect your website. And while it’s invaluable, anti-virus software can’t detect existing vulnerabilities in your site such as cross-site scripting and code injections. It also doesn’t let you know when security threats and vulnerabilities have been found or how to fix them. SiteLock’s malware scanner does. I just bought SiteLock. Now what? SiteLock setup only takes 5 minutes. Simply log in to your account, and click on SiteLock. Click Launch next to the account you want to use, and then provide the requested information. If you already host your website with us, that’s it! Website security scans occur every 24 hours – so check back to view the results. Everything you need to get online; FREE with your domain. Each and every Jungle Computer domain name comes with all you need to get online. Transfer your domains to Jungle Computer, it’s fast, automated and risk-free! You keep all the time remaining on your registration and get a 1-year extension at no extra charge. Watch the status of any domain currently registered to someone else. Secure your chance to register that domain when it becomes available by back ordering it at special savings. Use Search Engine Visibility to increase your search rankings, and bring more traffic to your website. What good is a terrific website if customers can’t find it? Search Engine Visibility solves this problem by helping you add the right keywords and text to your site, then submits your site to Google, Yahoo!, Bing, and over 100 other popular search engines and directories. Use our expert suggestions to continuously move your website closer to the top of search results. 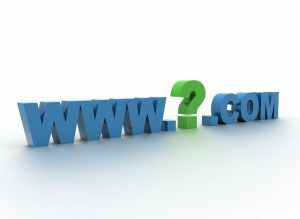 Find out how “search engine-friendly” your website is. Malwarebytes Premium v3 claims to replace your traditional Antivirus program with multi-layered protection, going out of add-on or second opinion scanner territory. How will it hold up against the onslaught of malware during this test as a standalone? We specialize in building affordable custom built websites! A professionally designed website is a key factor in forming a trust in your business. Jungle Computer has designed countless websites for big and small businesses alike: non-profit organizations, restaurants, attorneys, consultants, home builders, car sales, daycares and the list goes on and on. Your company’s website will allow you to display your items for sale, phone numbers, hours of operation, directions, company information, menus and much more. Making this information available on the Internet will allow more people to find your business, and consecutively turn customer into sales. Jungle Computer is a full service website design and eCommerce dynamo. We provide our clients with everything they need to be successful on the Internet, or as now its known “The Cloud”. From initial website design and programming services to online marketing, Website Content Management Systems (WCMS), ecommerce software, and solutions, Jungle Computer prides itself on being your partner in all things Internet.